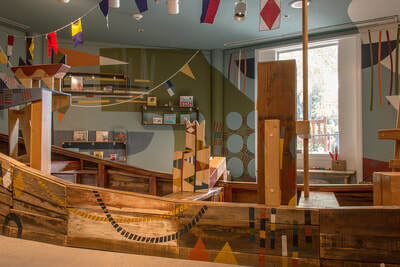 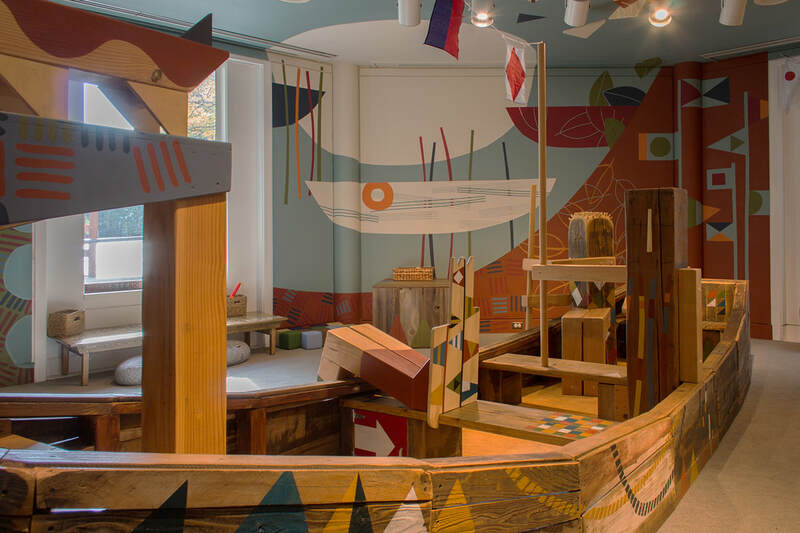 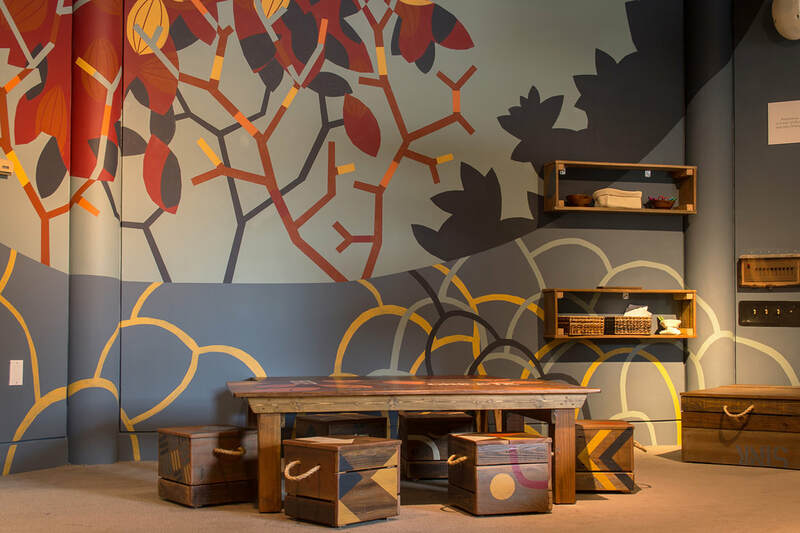 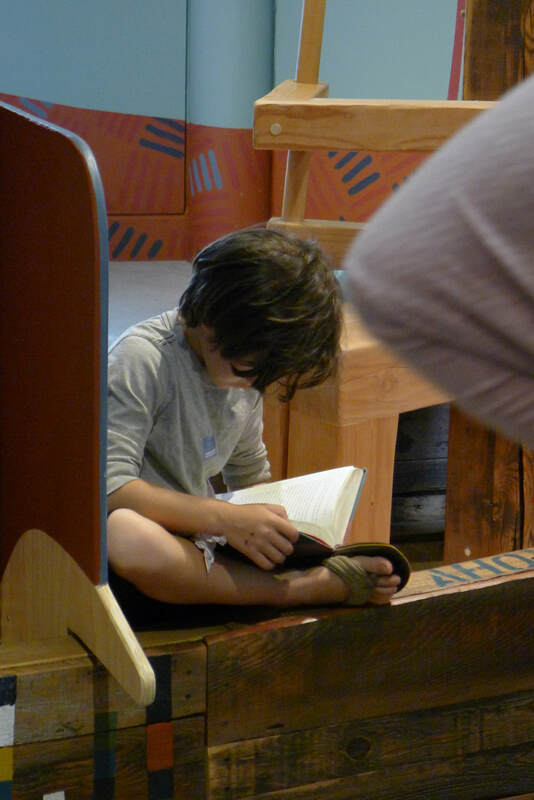 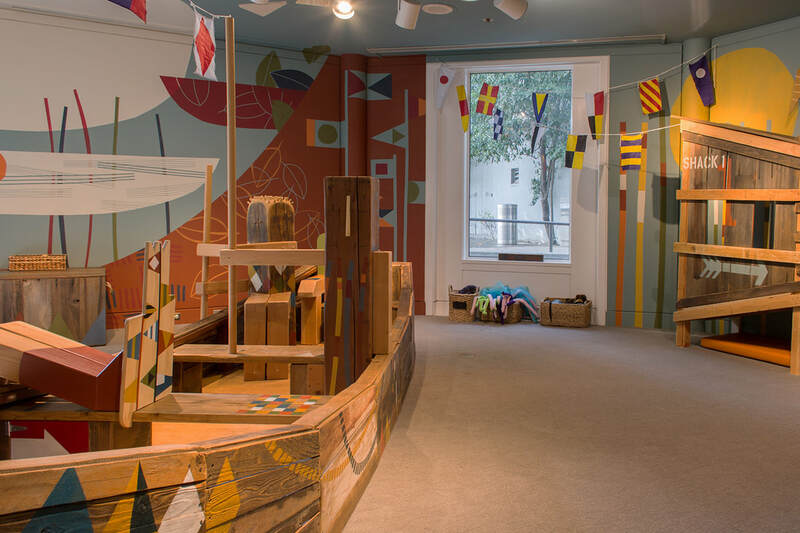 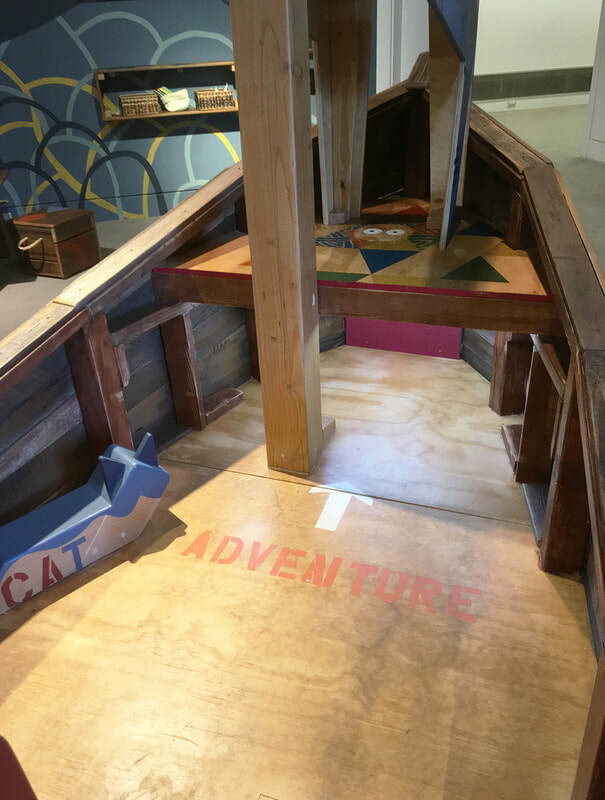 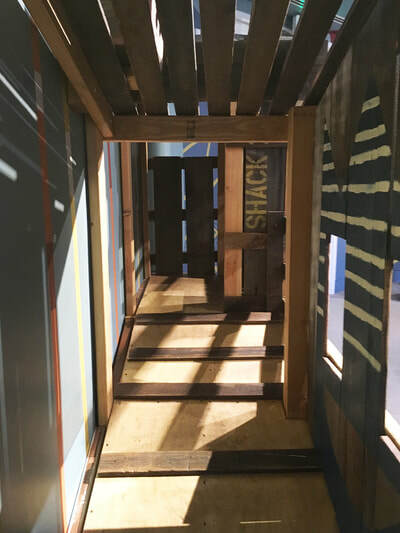 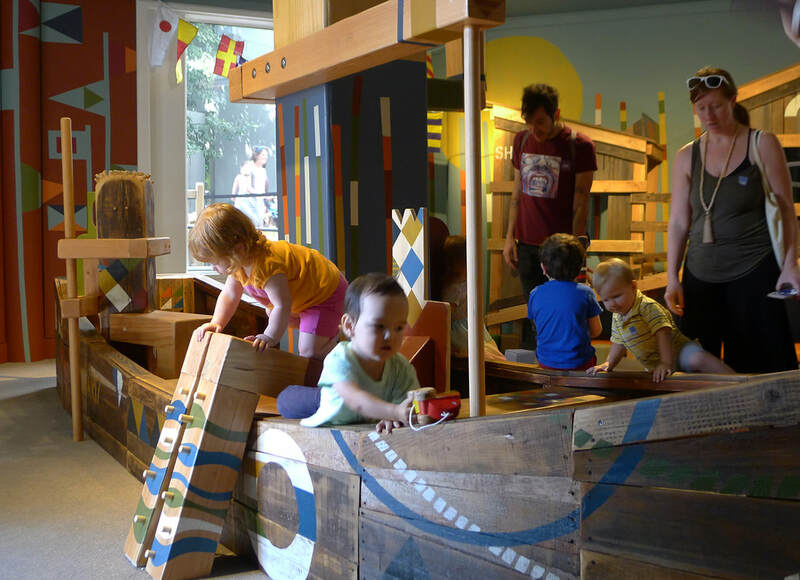 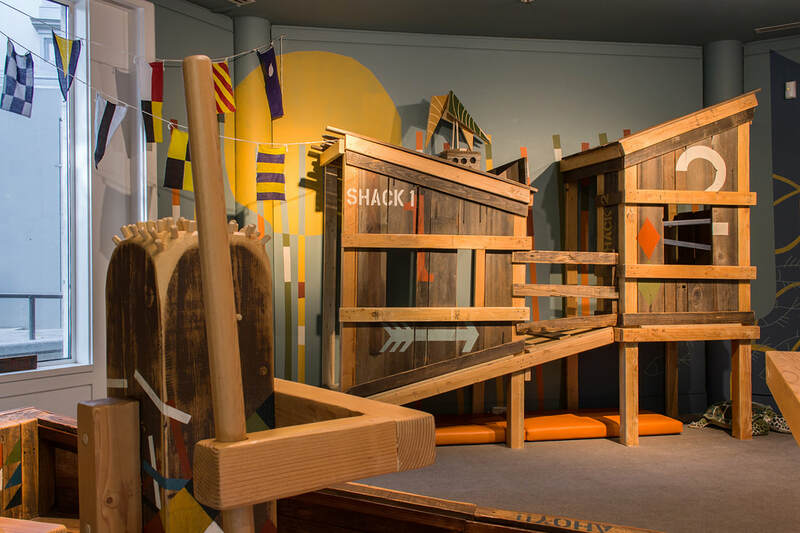 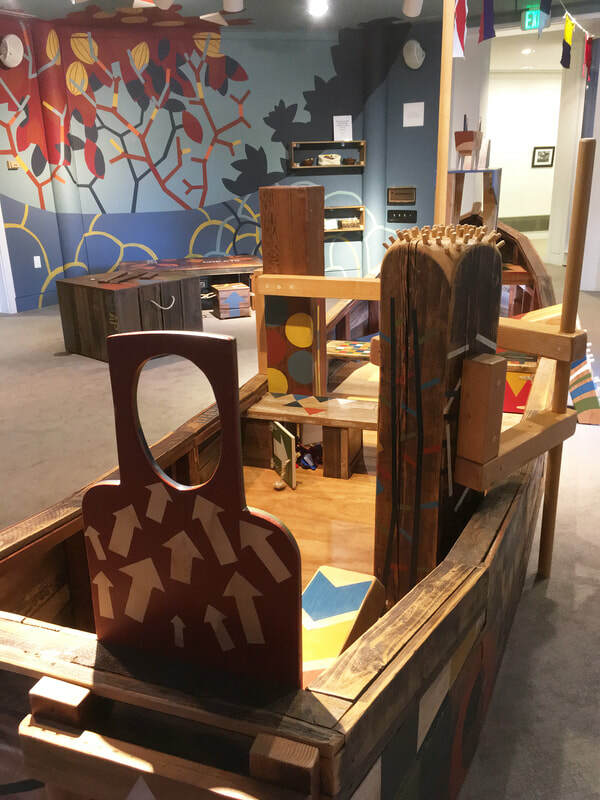 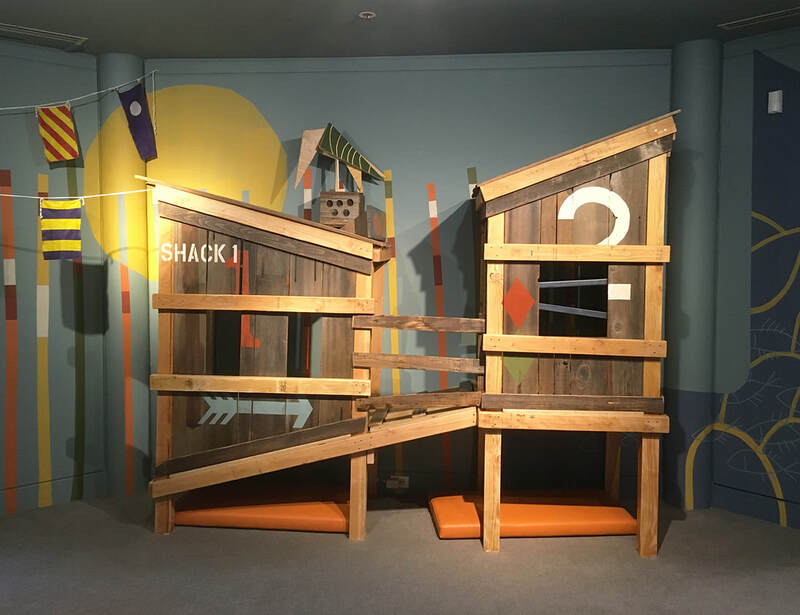 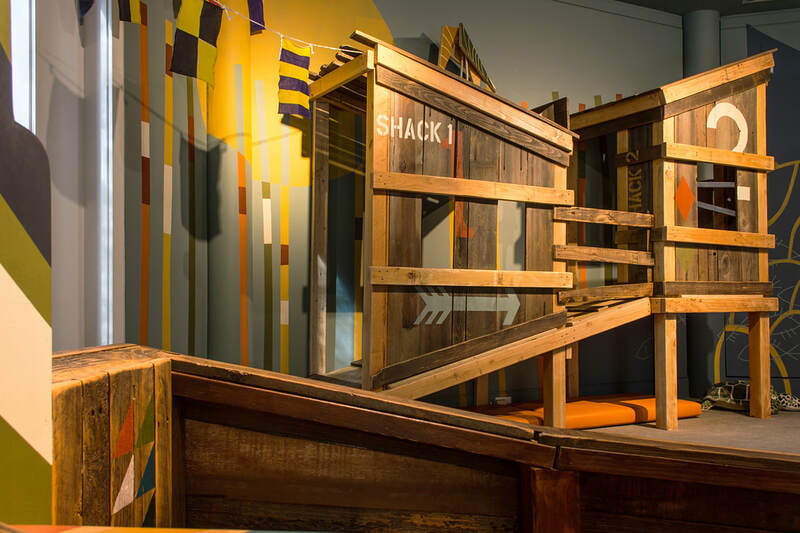 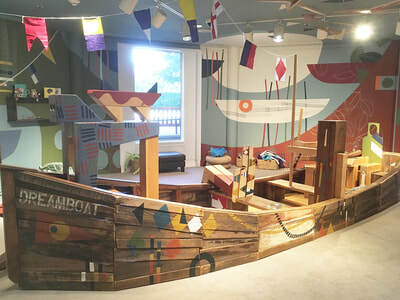 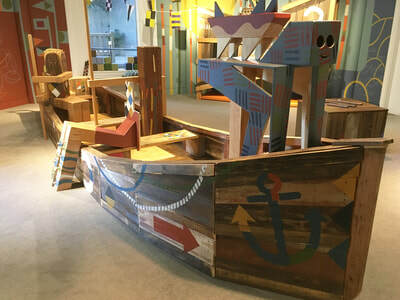 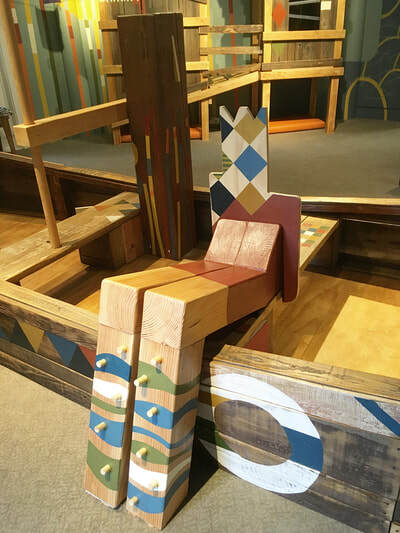 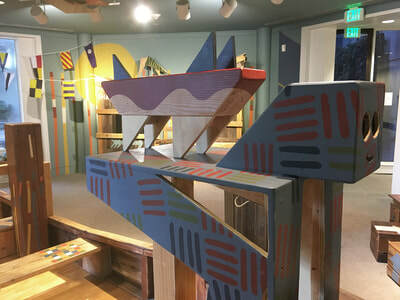 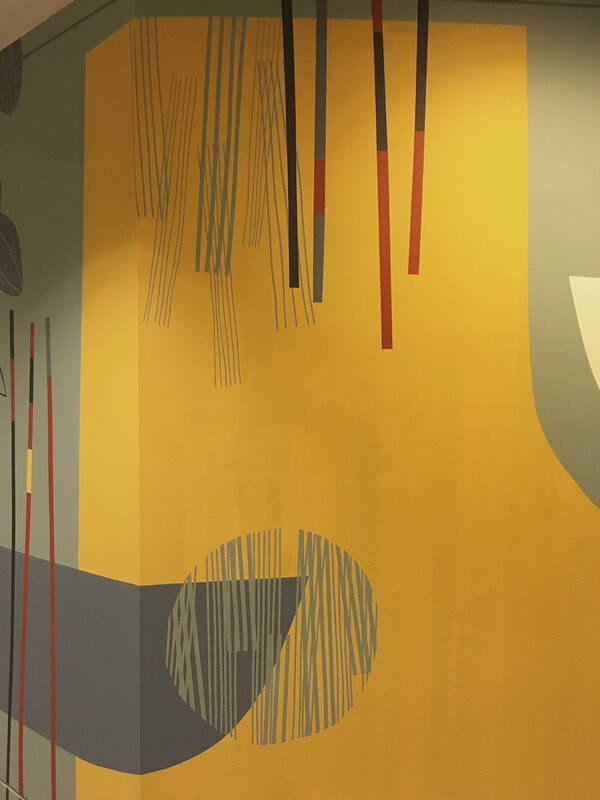 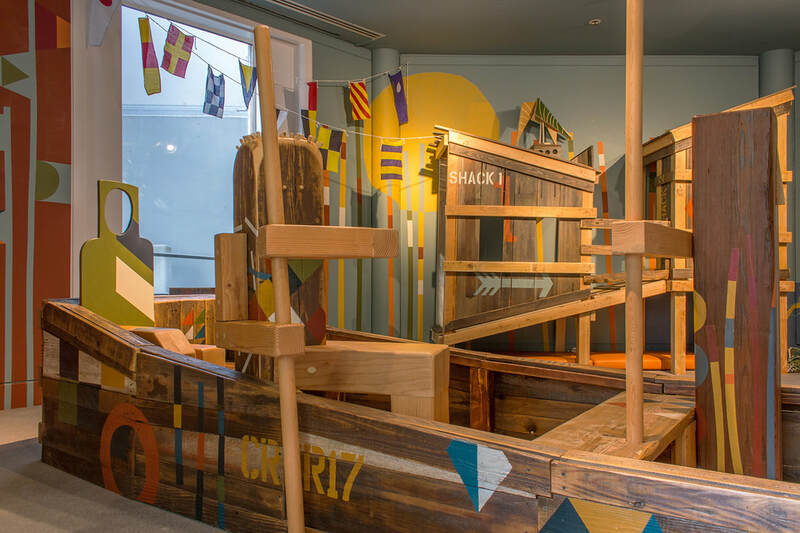 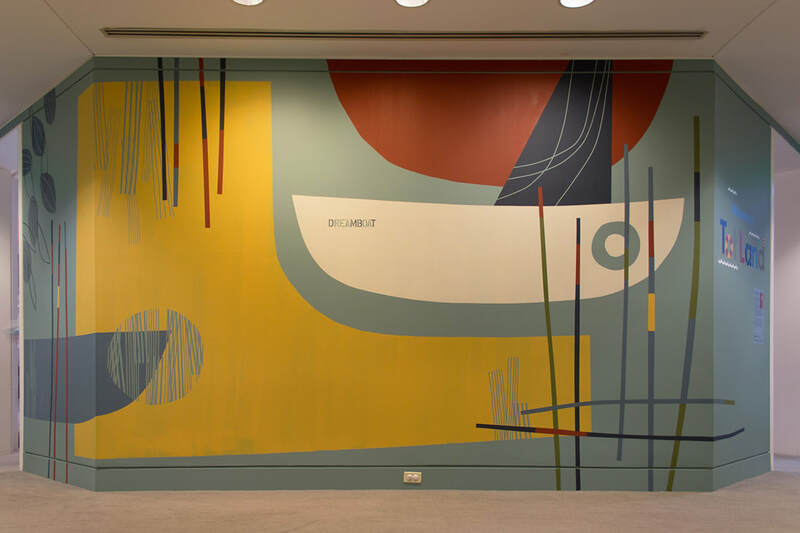 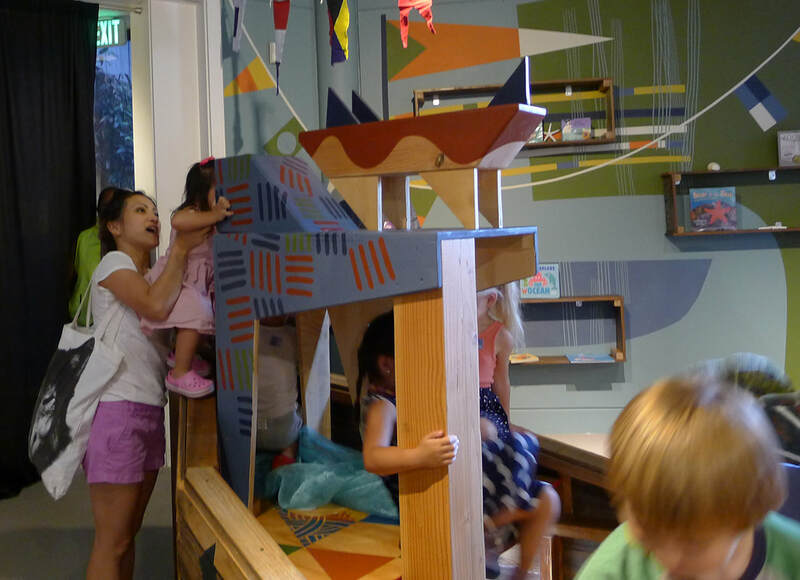 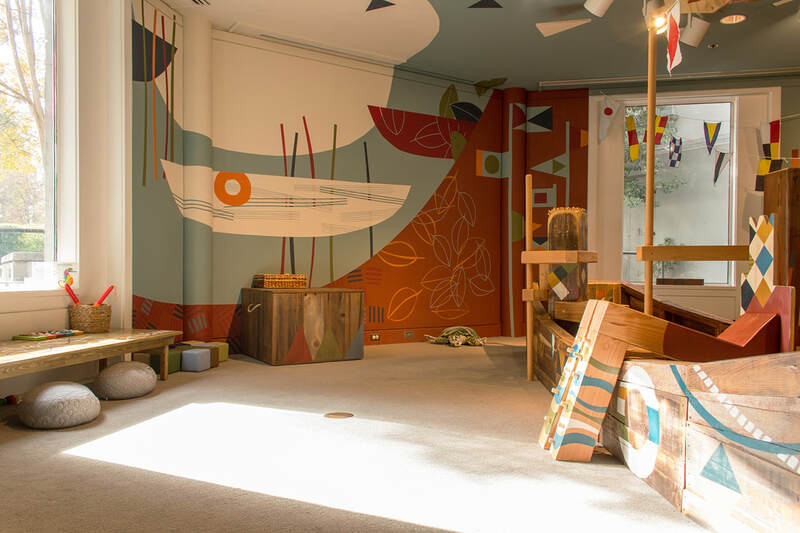 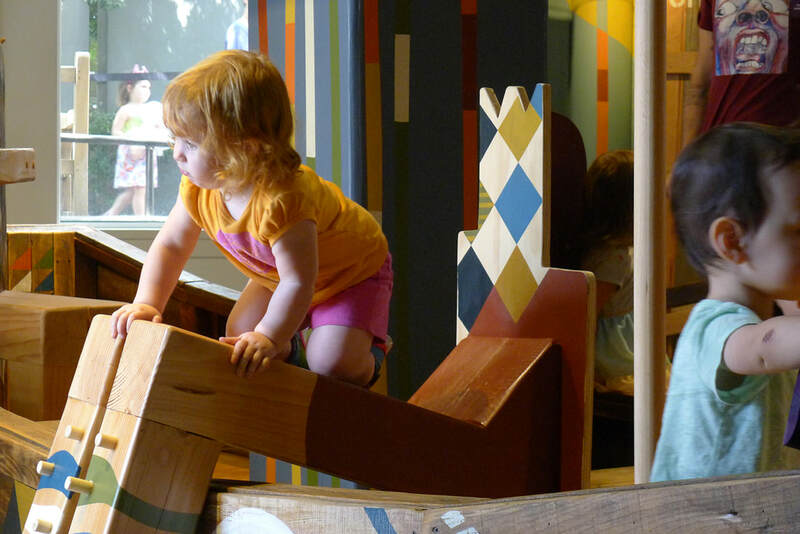 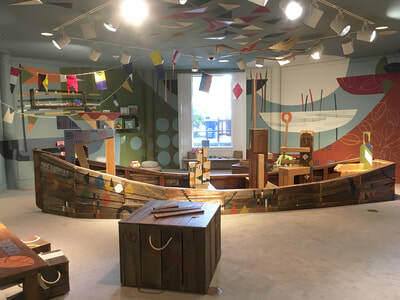 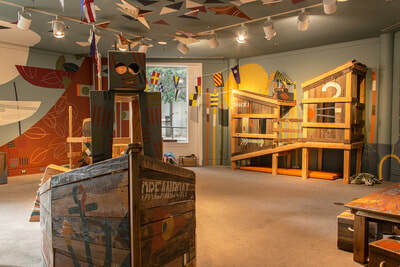 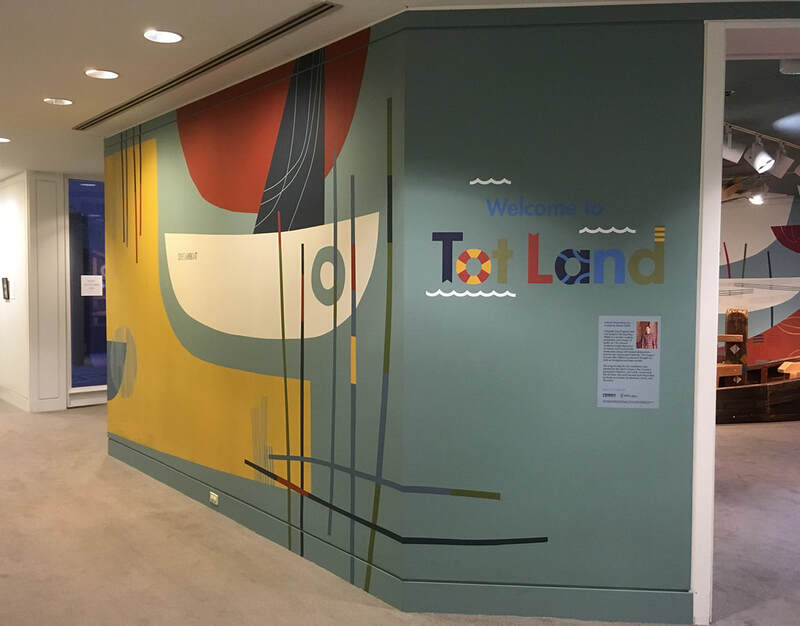 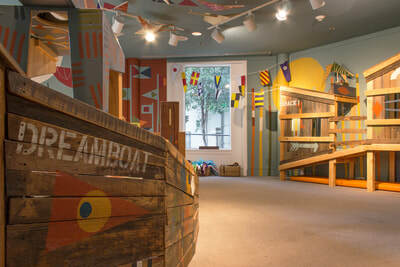 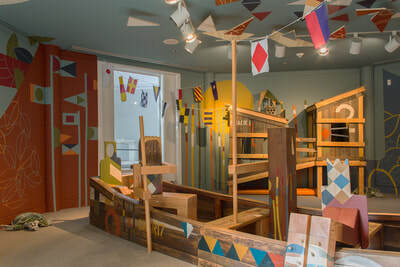 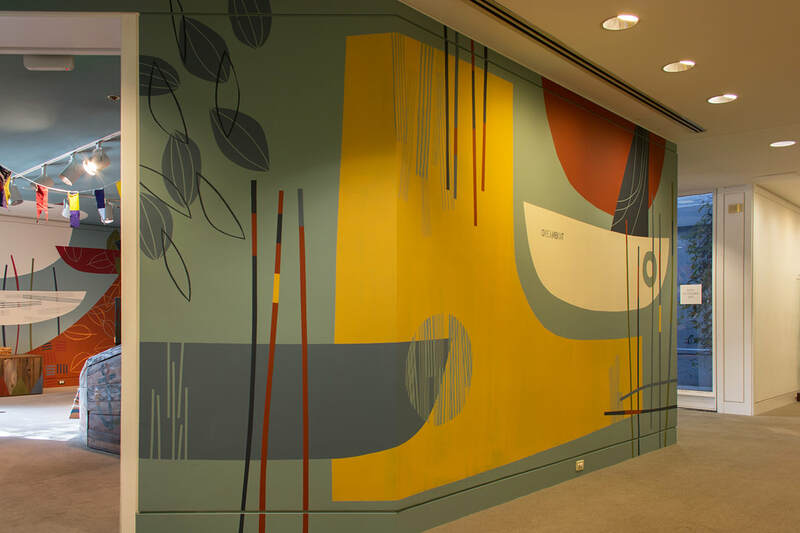 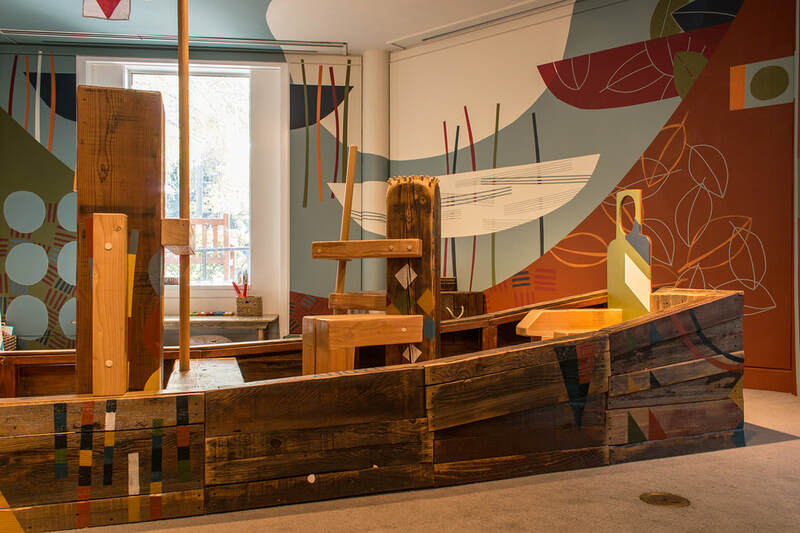 Dreamboat is an immersive, interactive environment for "Totland" the room that serves as a base for the under-fives in the museum's amazing and award-winning education department. 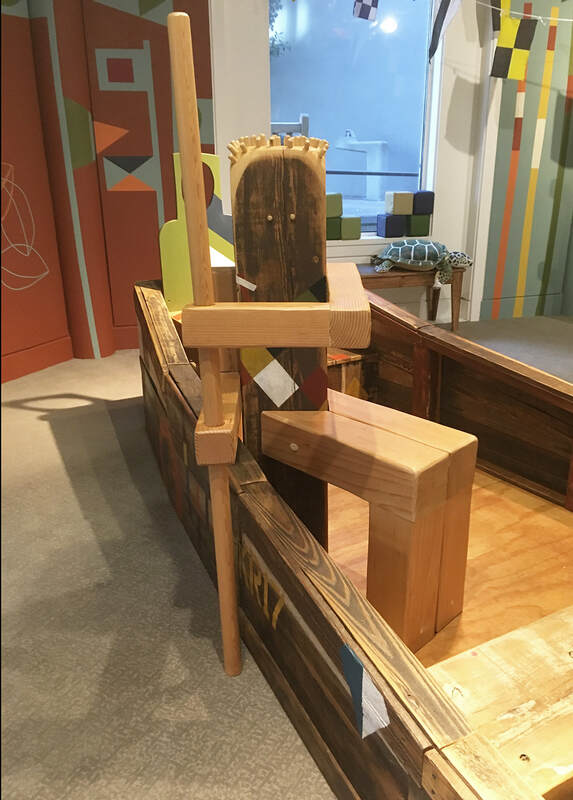 The starting point for my idea was a carved wood piece in the Crocker's collection, a Papuan spirit canoe occupied by various human and animal figures, knowing that it would have intrigued the five-year old me. I've built my own version - a life-size boat with it's own "crew"and surrounding environment. 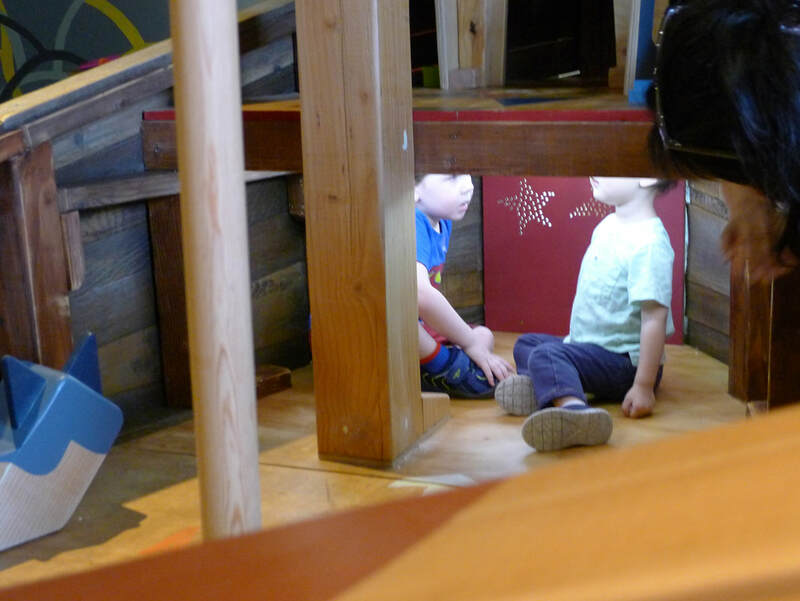 I hope that children feel drawn in and compelled to explore it and lose themselves in imaginative games of their own invention. 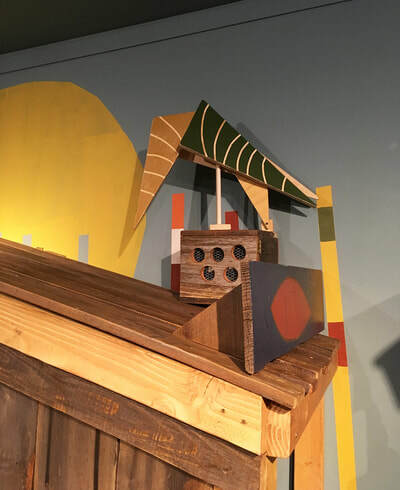 I’ve avoided anything that leads into a specific guided activity - I recall the thing that always kept me engaged with art at an early age was its ambiguity and mystery, and I still think that intangibility is one of Art’s biggest assets in our very analyzed and explained world. Instead, my intention for the piece is for it to present kids with a "stage set" in which to become absorbed in creative, fantastical play. 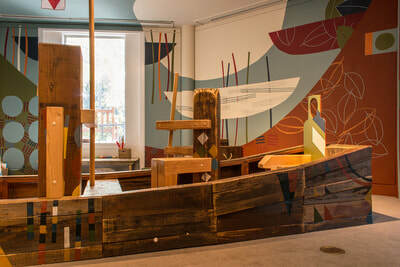 The scene is familiar and accessible, but also a little strange and full of ambiguity. From a visual point of view I wanted it to feel like you were stepping inside one of my paintings. Take the photo tour below and look out for some of the surprise details. 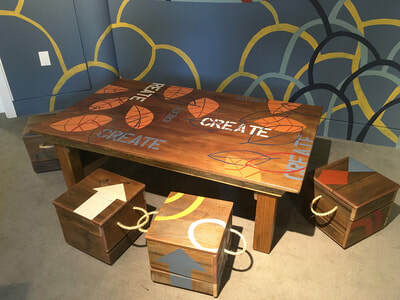 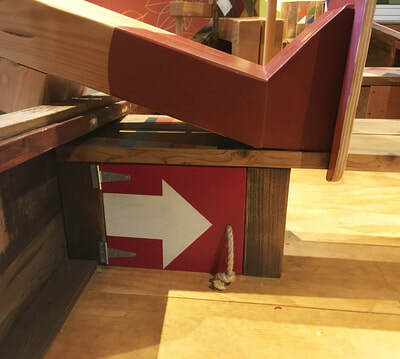 Kids love to get into small secret spaces so the installation includes several of these including in the bow of the boat which is lit inside with LED lights. 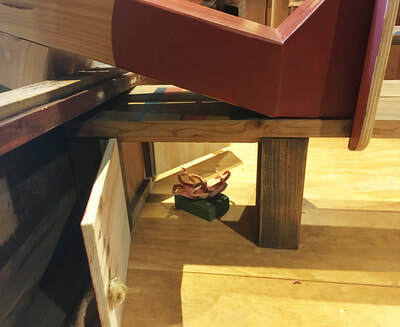 It also has a few little hatch doors to open - one reveals a mirror, and one a rubber octopus. 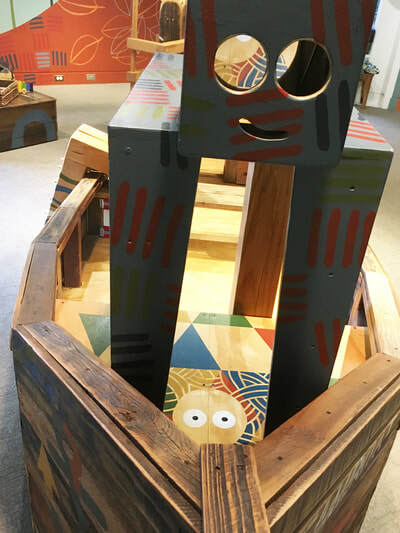 The big-eyed figure looking out the front of the boat contains a periscope-like feature where kids can lie under it, look up into a mirror, and see out of his eyes - typically to a waving adult or friend. The shacks are another fun little hideaway, and on the roof, guarded by a cubist bird, is a speaker box emitting the sounds of crashing waves, gulls, creaking boats, and sea shanties. 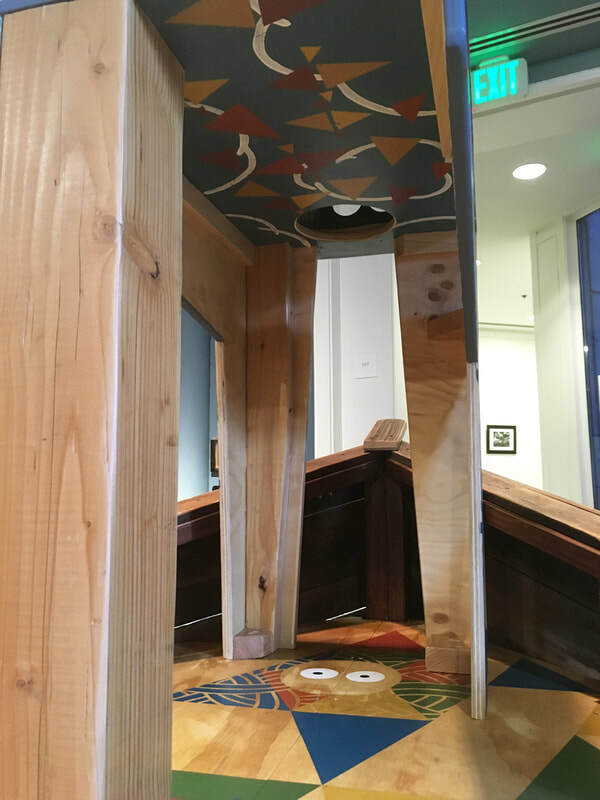 I need to give a massive THANKS to all the staff at The Crocker who made this such a total pleasure to work on, and the project's funders First Five Sacramento and the Institute of Museum and Library Services.